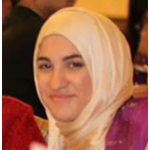 Aliya Naim has been involved with the Yemen Peace Project since its inception in 2010. She is a native of Atlanta, Georgia and a graduate of the University of Georgia, where she obtained a dual B.A. degree in International Affairs and Arabic. As part of her undergraduate program, she studied Arabic in Sana’a, Yemen during the summer of 2009 and in Damascus, Syria during the fall of 2010. After graduation, she worked in the field of international election observation for three years. She is currently obtaining a M.A. in Migration and Diaspora Studies at the University of London.